Continual rainfall in Saptari district since 1st July 2017 triggered flash floods, putting over a dozen settlements at risk, submerging more than 1500 houses and even damaging roads (http://www.myrepublica.com/news/22955/). The residents were left stranded, without food, shelter or any help. To help the ones in need, GrowByData team in association with Pahal Nepal organization came together and collected clothes, purchased food and toiletries for the flood victims of the Saptari district. The relief materials were distributed to Pahal Nepal on 26th July, 2017. Heavy rainfall during 10th -13th August 2017 triggered landslides and flash floods in 35 out of the 75 districts in Nepal, claiming more than 140 lives, injuring 117, displacing 460,900 and leaving 24 missing (IRA). According to Nepal Red Cross Society IRA compilation report, 20th August 2017, damage to houses, infrastructures and productive resources were severe – roughly 56,000 houses were completely destroyed and 120,100 houses partially damaged, leaving thousands of people stranded, hungry and devoid of basic sanitary needs. EMERGENCY RESPONSE Naturally, groups of people started to appeal for help on collecting relief materials like food, tarp, bucket, mosquito coils and nets, sanitary napkins etc. for the affected communities. Members of GrowByData team also took up a collection campaign to help the ones in need. 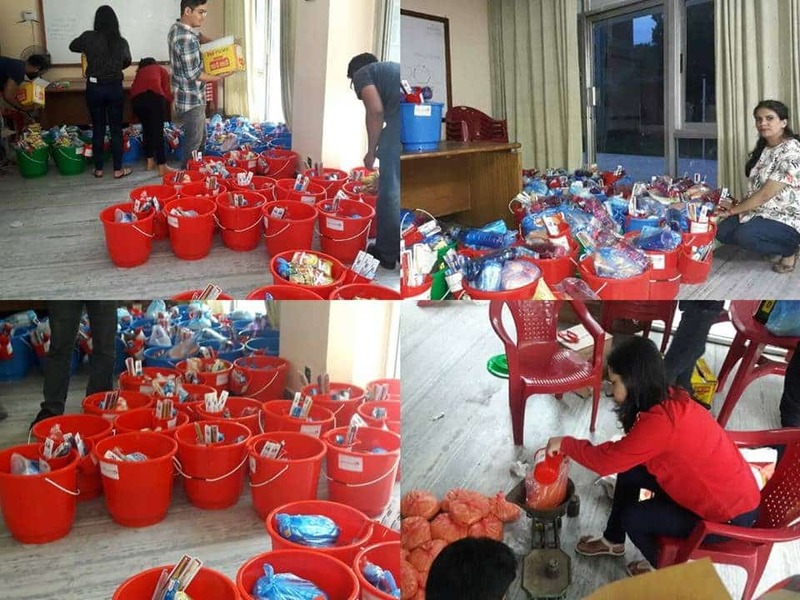 Combined funds from the internal team and GrowByData were used to purchase up to 50 buckets filled with food, medicine and toiletries for Samartha Nepal on 16th August 2017.